The bountiful flowers of lantana look like tiny bouquets and come in a variety of bright colors including white, yellow, pink, orange and red. They grow fast in full sun and, once established, are tolerant of both heat and drought. 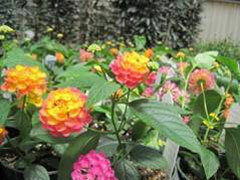 Lantana grow best in fertile, well-drained soil and need to be watered when the surface of the soil is dry. They might need more water when mixed with other plant material in a hanging basket or container garden. 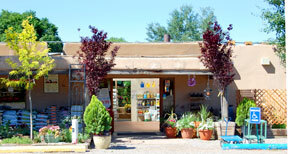 From spring to frost, fertilize at least once per week to keep the plant blooming.